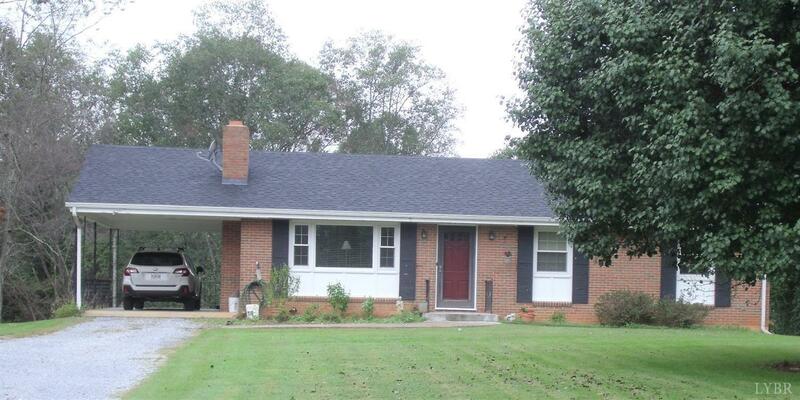 Brick Ranch with winter mountain views of the Pecks and view of Spring hill Lake. Many upgrades, new 16 SER Heat Pump, new Roof, new Windows, Hardwoods in all rooms. Bath and Kitchen with Tile Floors, New Kitchen Sink, granite Counters, new shaker cabinets, new Stove and Dishwasher and Microwave. New Hot Water Heater. Home has 2 brick fireplace. (Wood Stove in Basement does not convey). House sits back off the Road and Backyard has stone fire pit and garden area with utility sheds (one with power and work Bench).